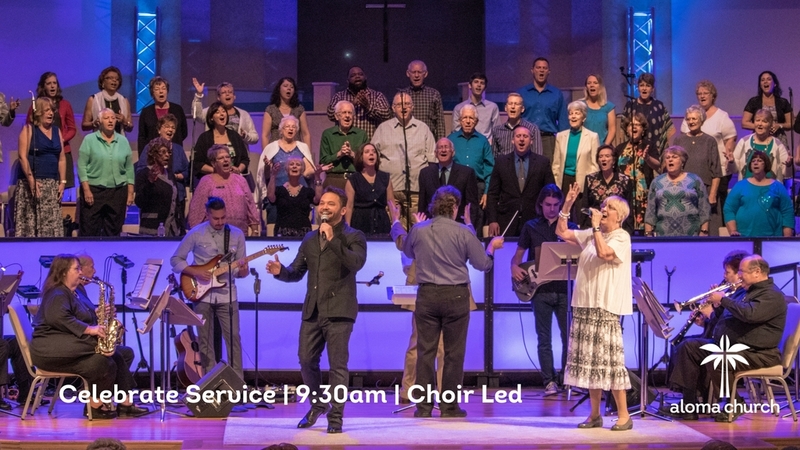 Celebrate is a blended service service led by our choir and orchestra, featuring timeless music and hymns. Centering ourselves on Jesus while doing whatever it takes for people to experience life change. © 2019 Aloma Church. All rights reserved.